This piece is part of a reporting partnership between ONE and Refugees Deeply. Interview by Mustapha Dumbuya in Juba, South Sudan. Rebecca Ajah, 25, was recovering from the birth of her newborn twin sons when conflict broke out in her home region of Jonglei, South Sudan, in 2013. 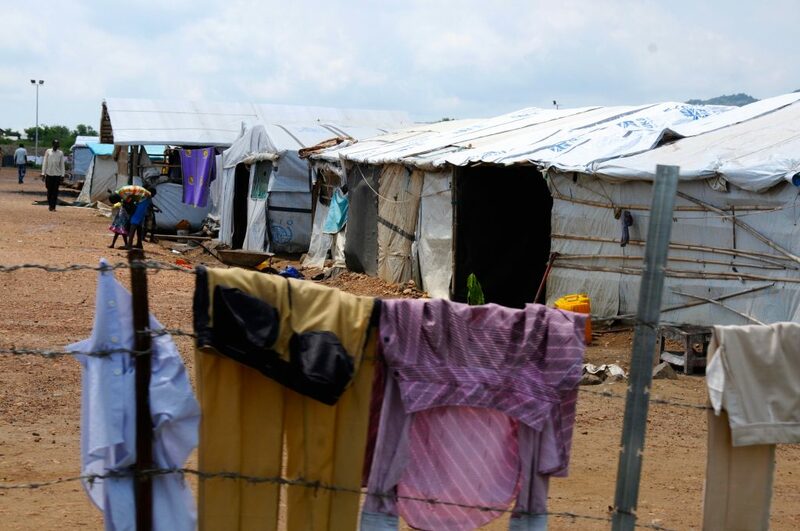 With the babies in her arms, she left her home and sought safety at a United Nations Protection of Civilians (POC) camp in the capital city, Juba. Her husband, a university student, was studying in a different region at the time, and was placed in another camp for displaced people, 520 kilometres away. “I decided to travel with my three-month-old twin boys when the fighting started. It was a very, very difficult time for me. I ended up at a United Nations (U.N.) camp in Juba with the babies. My husband was studying at a university in the Upper Nile region of South Sudan at the time. He too ran for his life, seeking protection. He was placed in a different camp, in a different region. I haven’t seen him since, but we last spoke about two months ago – he hasn’t got back to me since then. I didn’t even carry anything with me when I was leaving. I just carried the babies and then started running, and that’s how I got here. I put one on my back and I carried another in my arms. I was worrying so much. Even now I find it hard to believe that we are still alive today, because really it was very difficult for me at that time with such small children. I’d like to do some work or business to earn money but I can’t do that at the moment; for now, we are just relying on the UN for support. They provided us with food and everything but it’s still not good to live inside the camp. 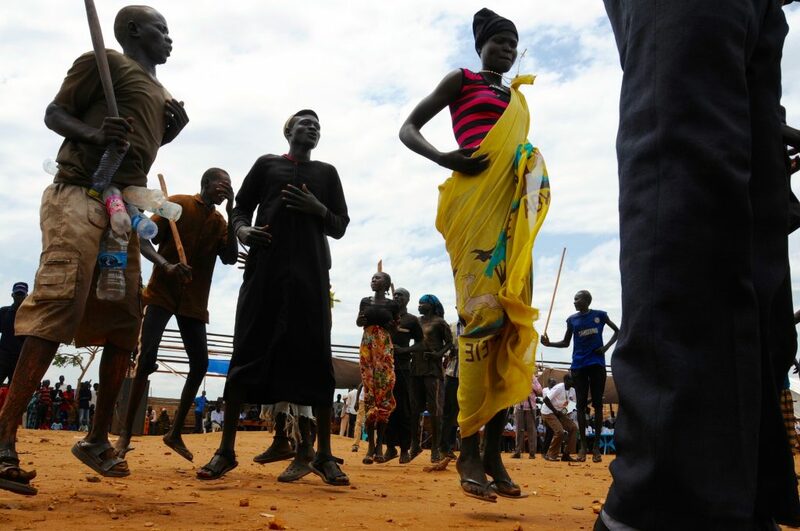 If we continue to fight like this in South Sudan there will be no future. People are still being killed and displaced. I’m worried about the future of my children. It is not good to raise them in a camp like this. The day before yesterday there was a clash between some young people and security forces; there was shooting outside the camp but not inside. We could hear the shooting very clearly. Some people ran away. I was very worried. It reminded me of the violence in Jonglei. I lay down flat on the ground with my children. 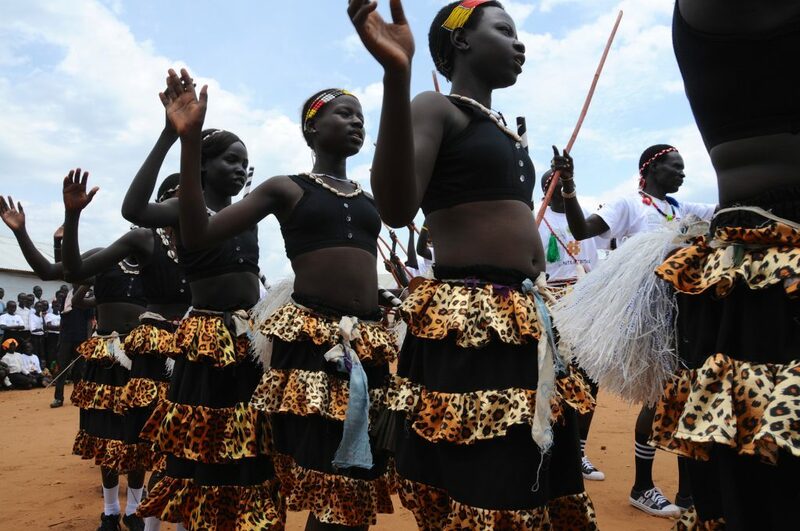 In December 2013, conflict broke out in South Sudan, Africa’s newest nation, two years after the country gained independence from Sudan. A dispute between President Salvir Kirr and his deputy Riek Machar resulted in a conflict that killed 50,000 -100,000 people and displaced many more, according to estimates from the International Crisis Group. This number has increased as fighting continues in 2016. Sign the petition: Refugee children have lost their homes, but we can’t allow them to lose their futures.